The stone's concrete base is 14" by 14", the stone plinth is 10" by 10" and the monument is 6" by 6". The entire installation is about 45" tall. 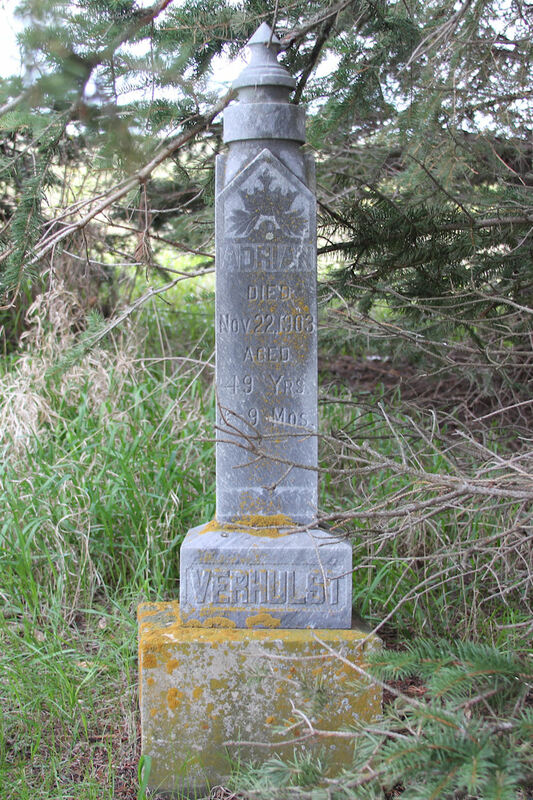 Adrian Verhulst is the earliest known burial in the Flaxton Rural Lutheran Cemetery.